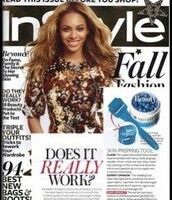 Redefines skin's texture for smoother, softer skin. Effectively minimizes the appearance of pores by removing pore-clogging dead skin cells. 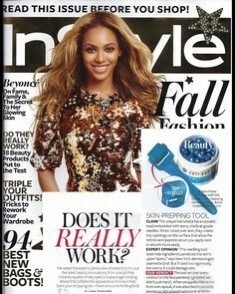 Hydrates and increases skin elasticity. Helps to visibly firm the skin. Contains antioxidants and provides effective photos table broad spectrum UVA/UVB sunscreen protection. Replenishes skin's natural moisturizing factors (NMFs) through vitamins A, C, and E and other vital skin ingredients. 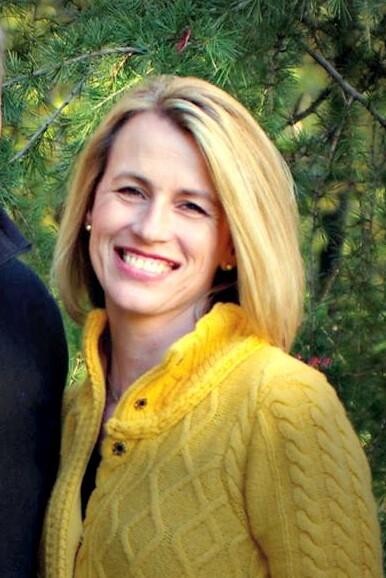 Coffee with Mary: How can I accelerate my results with REDEFINE Regimen? Based on our clinical studies, smoother, softer skin can be experienced after just one use. 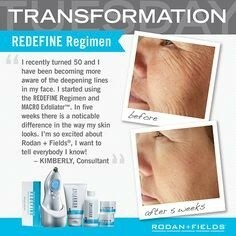 With continued use, the REDEFINERegimen is clinically proven to help skin appear firmer, make lines and wrinkles less noticeable, and create the appearance of smaller pores for a more luminous and refined appearance. Since we are all aging all of the time, Dr. Katie Rodan and Dr. Kathy Fields developed the REDEFINE Regimen as skincare for life. 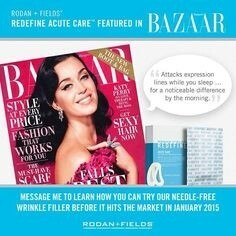 Continue to use the REDEFINE Regimen to help prevent the appearance of lines and wrinkles. Can I use the REDEFINE Regimen if I'm pregnant or nursing? We recommend that a woman who is pregnant or nursing consult with her doctor about her current products and/or the use of cosmetic tools or before making any changes regarding her skincare routine. Providing the appropriate ingredient lists will help inform the doctor. 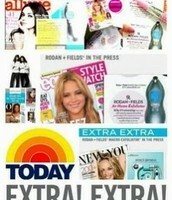 Click here for the Rodan + Fields ingredient list. Can I use the REDEFINE Regimen if I'm taking prescription medications? If you are taking prescription medications we always recommend that you consult your doctor regarding your skincare routine. 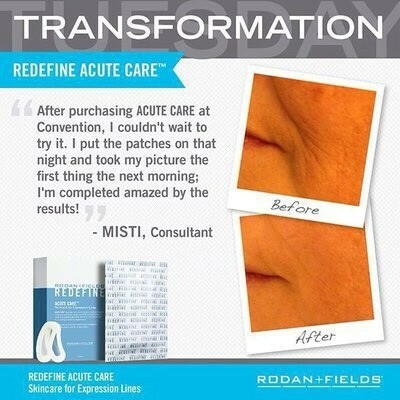 This is as simple as sending the ingredient list for the REDEFINE Regimen to your healthcare provider for review. 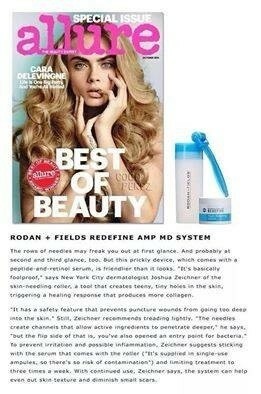 Can I use the REDEFINE Regimen on my arms, neck, hands and décolleté? Yes. 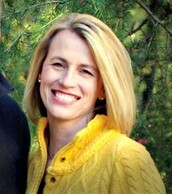 The neck and décolleté also exhibit the signs of aging. 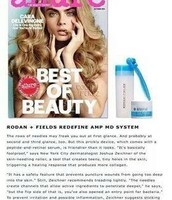 For aging hands, we recommend the REDEFINE Hand Regimen. 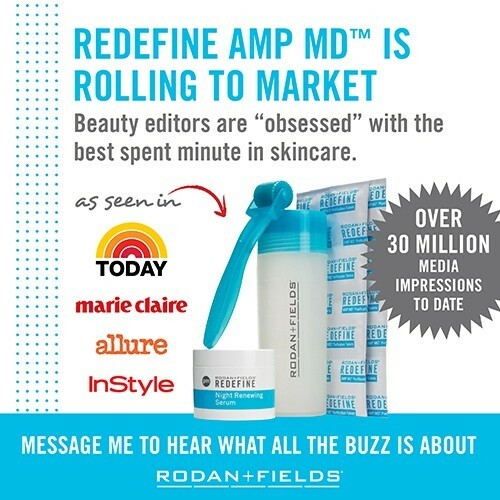 Designed for use with Rodan +Fields® REDEFINE Regimen, the patent-pending AMP MD System for Firmer-Looking Skin includes the noninvasive AMP-MD Micro-Exfoliating Roller and REDEFINE Night Renewing Serum. This system is clinically proven to safely and effectively amp up your daily skincare routine for a firmer, more youthful appearance. 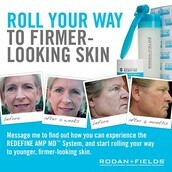 Please read the REDEFINE AMP MD System brochure before using the AMP MD System. It contains usage instructions for best results. Reclaim your skin’s radiant glow in just five minutes with the REDEFINE MACRO Exfoliator™. Used once a week, this hand-held, personal use exfoliation tool sweeps away dead skin cells leaving behind a smoother, healthier-looking and more luminous complexion. The proof is in the filter where you can see the dulling, dead outermost skin cells and debris that have been covering up your best skin. 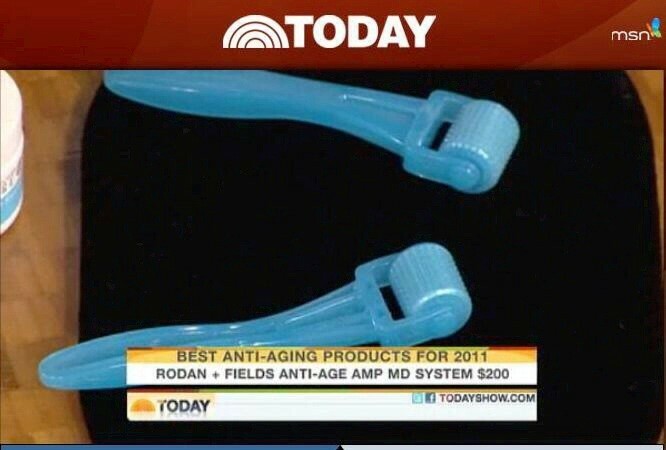 It features patent-pending DOC-SMART™ technology, developed and programmed by Dr. Katie Rodan and Dr. Kathy Fields, to vary the degree and duration of macro-exfoliation based on facial area. So effective, the REDEFINE MACRO Exfoliator is clinically proven to visibly improve skin texture after only one use. The REDEFINE MACRO Exfoliator should not be used if you have the following skin conditions: broken capillaries, rosacea, eczema, psoriasis, seborrheic dermatitis, facial warts, active acne, infection, open wounds or sensitive skin. If you are unsure about your skin condition, we recommend consulting your healthcare professional before using the MACRO Exfoliator. To watch Mary Radford, R.N. walk through everything you need to know on how to apply and use the new REDEFINE ACUTE CARE, watch the video below. The information in this publication is presented for educational purposes only and is not intended to be used as a substitute for medical advice. 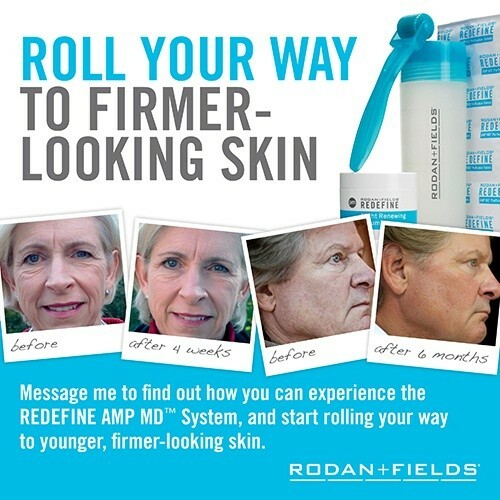 Results from the use of Rodan + Fields® products may vary depending upon the individual and will depend on multiple factors including your age, gender, skin type and condition, concomitant products used, health history, where you live (climate, humidity), lifestyle and diet. 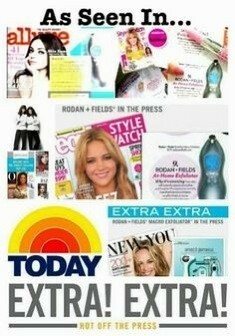 Rodan + Fields makes no guarantee as to the results that you may experience. Rodan + Fields recommends that you consult with your physician or other qualified health care provider before beginning any product regimen or treatment. Rodan + Fields does not promise or guarantee that Consultants participating in the Rodan + Fields program will generate any income. As with any business, each Consultant's business results may vary. Earnings depend on a number of factors, including the area in which you live, individual effort, business experience, diligence and leadership. Potential Consultants are urged to perform their own due diligence prior to making any decision to participate. For information regarding earnings under the Rodan + Fields Compensation Plan, see the Income Disclosure Statement.